This is a 1974 ad for a Firestone Transport 500 Wide Oval and Traction All Season Wide Oval Truck Tires! The size of the ad is approximately 8.5x11inches. 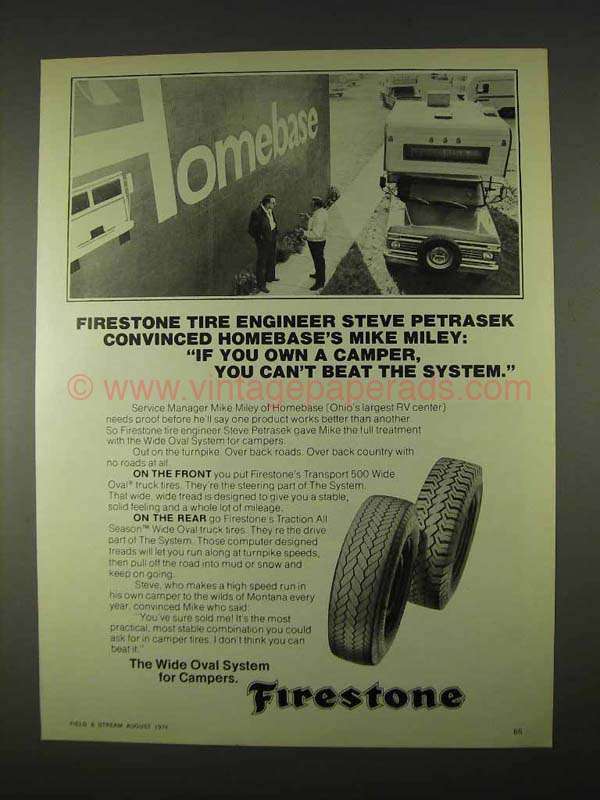 The caption for this ad is 'Firestone tire engineer Steve Petrasek convinced homebase's Mike Miley: If you own a camper, you can't beat the system' The ad is in great condition. This vintage ad would look great framed and displayed! Add it to your collecction today!